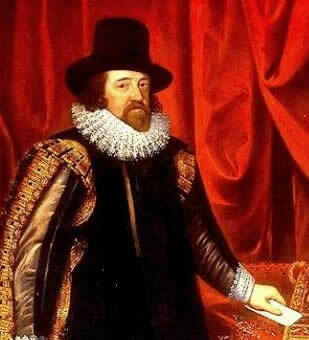 Sir Francis Bacon is one of the greatest literary figures of the Elizabethan Age. His literary works gained reputation during the reign of King James II. Bacon’s essays are a collection of prose works that contain the various moral values of survival in this world. Bacon always gives a comparison between the merits and demerits of the values he is trying to bring into the minds of the readers and leaves them with a question to their soul to judge, which could be the best. His inclusion of French verses shows his mastery over the language. This style of writing is popularly known after his name as the Baconian style of prose. In the essay “Marriage and Single life”, Sir Francis Bacon gives us a comparison between the various advantages and disadvantages of Married and Unmarried life. 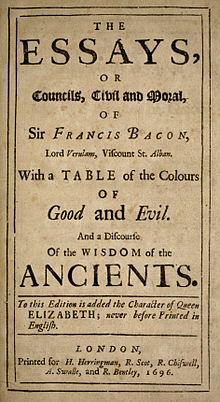 Bacon begins the essay with the lines “He that hath wife and children hath given hostages to fortune”. The Elizabethan style of English portrays the age to which he belonged. A man who has wife and children is the one who has become servant to fortune. He is committed to his family that he goes by the name fortune for a great life than by his own achievement Bacon says for married man his wife and children are impediments or hindrances to his achievements. Married men are those who do not achieve great heights. They care about future. They are those who work hard to make the Earth a better place for living in future for their children and grand children. Married men have commitments that they are less charitable. “Wife and Children are bills of charges,” says Bacon. Married men cannot be free and self-pleasing. Most of the greatest achievements in the world are by men who are either single or childless. Men, who are single, are away from commitments and they are more charitable. Many prefer being single due to the liberty, self-pleasing and humorous manners of unmarried life. Many covetous foolish rich men prefer being childless as they feel that children are hindrances to being single life is similar to wetting the ground with a drop while it is necessary to fill a pool. Women, who are chaste, are always led by the pride and happiness of their chastity. To men who are wise, women are chaste and obedient and to those who are jealous they are not. Wise men marry, when a quarrel arises in their mind about marriage. They marry when they are young and not too early to be old. Wife is a young man’s mistress, middle age companion and a old age nurse. The very strange fact is that bad husbands get married to good wives and out of their kindness and patience, they change their husbands. However, a woman who marries a bad husband without hearing to her friend’s consent on him then she must be brave enough to pay to her own foolishness. A married life is more a life of commitment. Married men are led by customs and have disciplined humanity, and are constant as said on Ulysses. A married man has a more stable thinking and he is more responsible and tender hearted than an unmarried man. Bacon’s style of writing always puts our soul to question which is the best and the readers to analyse themselves the right way of life with his essays as a proof of finding the best. In this essay, also Bacon gives his readers a wonderful comparison between married and single life. The transition from the opinion that single life is a better choice to the greatness of married life is remarkable way of Baconion writing that the readers would be able to judge their decision about the idea of marriage in a best way possible. Though in the beginning of the essay Bacon seem to support single life he makes the readers understood the married life is more interesting in the latter part of the essay.